I have had a lovely early birthday present from a dear friend. The sponsorship of Coco at the sanctuary. Dear Coco has her feet missing from where she was trapped and taken from the wild. She's a beauty and I have some lovely photos of her and a dvd of the sanctuary. What a wonderful gift to send someone, an idea that others may like to take on board for their parroty friends birthdays or Christmas. Oh Di how lovely, now I'm crying. Can't wait to see Coco's photos, bless her. Just watched the Sanctuarys dvd, you need a stiff upper lip! I know what you mean about a stiff upper lip when watching or reading anything about the sanctuary! 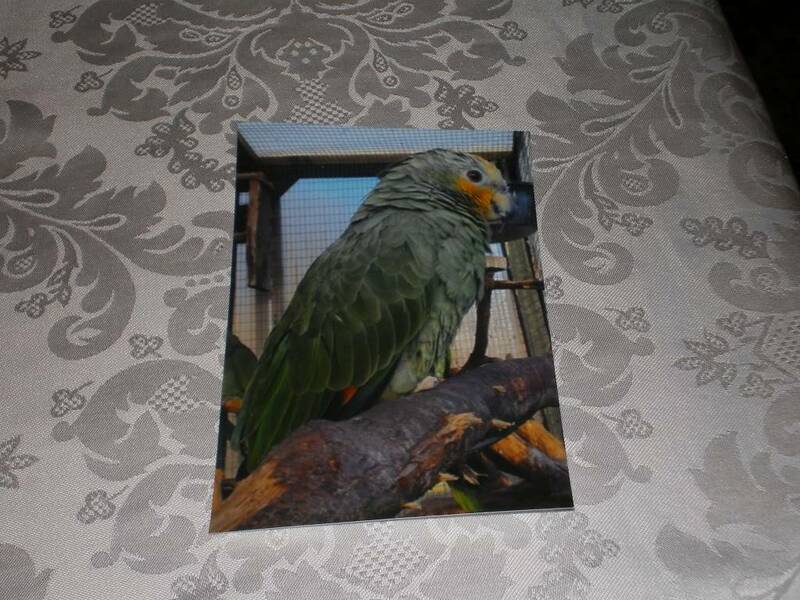 they also have a facebook page, island Parrot sanctuary if you don;t already know, there are loads of photo's of birdies that need mummy's and daddy's to send them pressies! My two are on there too! One of the nicest pressies I've ever had. Only a true parrot friend would think of it sadly hubby and my family never would.